It is not long until the biggest event in the annual film festival calendar will be underway. 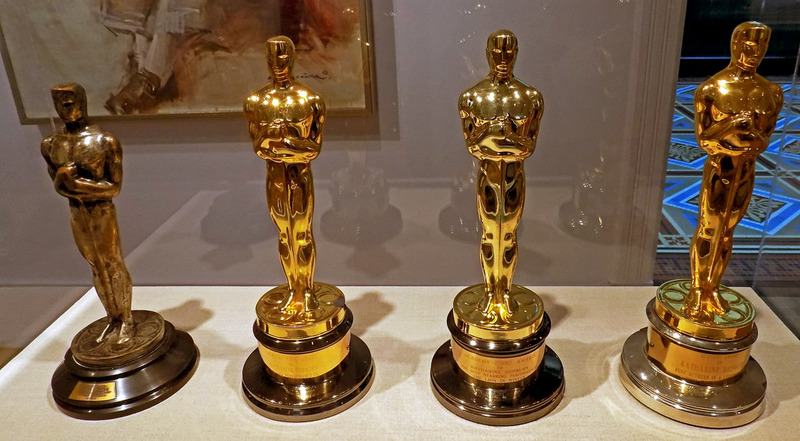 2019 will see the 91st edition of the Academy Awards or Oscars ceremony. The Oscars represent the high point in the careers of all the filmmakers who have ever won one. An Oscar win not only ensures a star will be remembered forever but also adds lots of zeros to their next few paychecks. The ceremony awards filmmakers for excellence in film. The event was established to reward the best that the American film industry had to offer, though the event does include prizes for international movies as well. Every year, millions of people tune in to watch the Oscars to see who will walk away with the now world-famous golden Oscar statue. The first-ever Academy Awards ceremony was held way back in 1929. It was held in the Hollywood Roosevelt Hotel and had an audience of some 270 people. Amazingly, tickets to the event only cost $5, something which seems unbelievable these days. Unlike today’s festival, the winners were actually announced months in advance. A total of 15 Oscar statuettes were given out over the course of the evening. Prizes were given for best director, best film, best actor and actress, among others. The entire ceremony took less than 15 minutes, something that many attendees would find a welcome thing. The second Academy Awards took place the following year in 1930. The biggest change was that none of the winners was announced beforehand, rather they were announced at 11:00 pm on the night of the awards. This format would remain the norm until 1941 when winners were announced after a presenter opened a sealed envelope onstage. This remained tradition until this day. 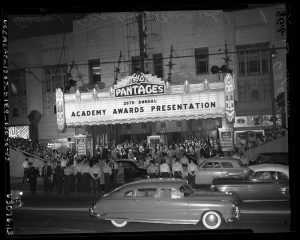 In 1953, the Oscars were broadcast live on television. By the 1980s, the event was being broadcast in more than 60 countries around the globe. To date, the largest viewing figures were recorded for the 1998 ceremony where some 58 million viewers tuned in for the 70th edition. This was the year that one of the most commercially successful films of all time, James Cameron’s Titanic, cleaned up and won a total of 10 Academy Awards. In recent years, viewing figures have begun to decline as audiences seem less and less interested in viewing the event. Despite being a global hit and winning a total of 11 Oscars, The Lord of the Rings: The Return of the King marked a disappointing year for the ceremony. This 76th edition was only able to draw 43.56 million viewers. This was not as bad as the 80th edition of the event, which took place in 2008 and only managed to draw 31 million viewers. Sadly for Oscar, this downward trend in audience numbers is continuing. The 2018 event saw the lowest audience figures in years. Just 26.5 million viewers tuned in to watch the ceremony. Attempts to boost audience figures have led to several controversies in recent years, including the launch of a new award category that is aimed at rewarding the biggest blockbuster films. Over the years, a number of individuals have used the Academy Awards as a platform for protest. 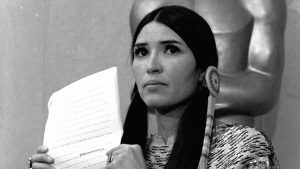 The most famous of these was actor Marlon Brando, who after winning the 1972 award for best actor, refused to collect the award but rather civil rights activist Sacheen Littlefeather to read a speech criticizing America’s treatment of Native Americans. However, Brando was not the first to refuse an Academy Award. In 1935, screenwriter Dudley Nichols refused to even attend the 8th Academy Awards ceremony on account of a falling out between the Academy organizers and the Writers’ Guild to which he was a member. The Oscars have been marred by accusations of racial and gender bias through the years as well as being commercially biased too. Revelations that the major film studios spend large sums of money actually lobbying the academy in an attempt to improve the chance of their films winning have tarnished the reputation of the event. The 91st Academy Awards ceremony will take place on February 24, 2019, at the Dolby Theatre in Hollywood, Los Angeles, California. No announcement has yet been made as to nominees as nominations voting doesn’t open until January 7, 2019. Nominations are expected to be announced on January 22, 2019, with final voting expected to take place on February 12. On December 5th, it was announced that Kevin Hart takes on hosting duties for the 2019 event. Winners will be announced as usual during the event which is shown live on February 24th.